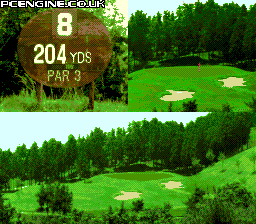 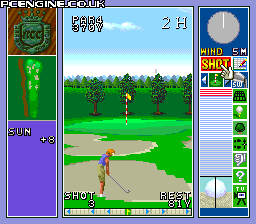 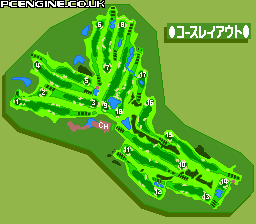 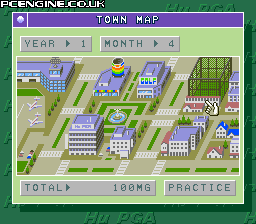 Providing several modes of play, Power Golf 2 uses a third person 3D view to represent the course and features all the usual aspects that you would expect of the genre. 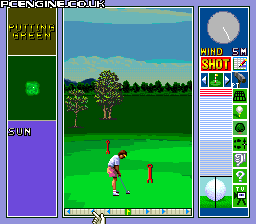 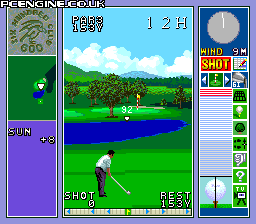 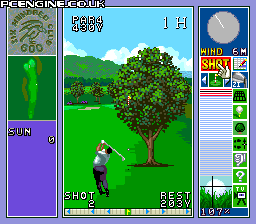 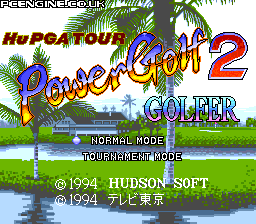 Power Golf 2 doesn't surprise in any way, being a pretty standard style of golf game. 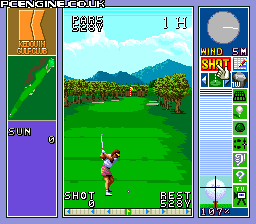 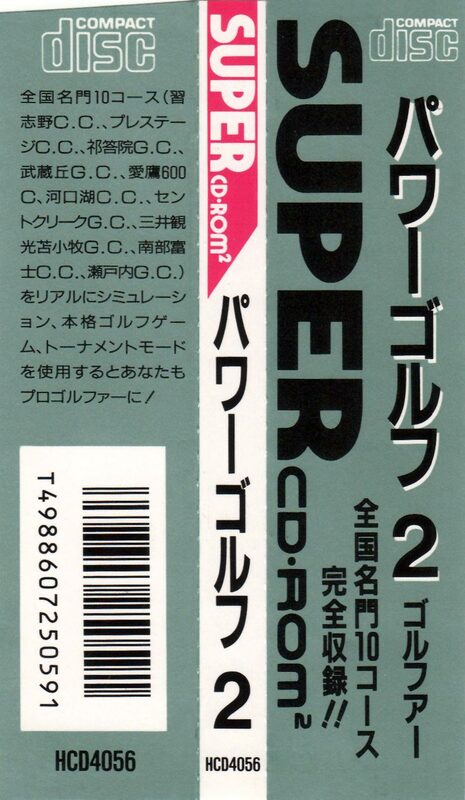 However, it is one of the more enjoyable ones on the PC Engine. 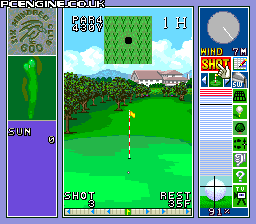 For me, the extra modes are inconsequential as I just like to relax and play the holes casually, but I'm sure the career driven tournement mode will excite some players. 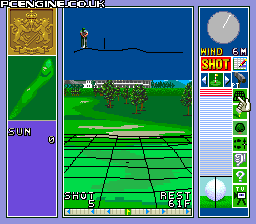 Overall the atmosphere is decent enough and if you just want something lazy to do while filling time then it's a good candidate.